Peter Maxwell Davies’s chamber opera, The Lighthouse, made an excellent showcase for three singers from the Royal Opera’s Jette Parker Young Artists Programme. More to the point, they made an excellent case for the opera, which has been fortunate indeed in London over the past few years. The opera, as I wrote when reviewing English Touring Opera’s 2012 production, has the gripping quality of a superior detective – and ghost – story. Inspired, as the cliché has it, by a true story, in this case an account from Craig Mair’s A Star for Seamen: The Stevenson Family of Engineers, the opera’s unsettling mix of courtroom drama, in almost modern televisual terms, and all-too-real (or is it?) Revelation-style apocalypticism presents both narrative and self-critique, verbally and musically. It makes sense out of, or at least deals with contradictory ‘truths’ and the magpie tendencies, which yet synthesise, of Davies’s score lie at the heart of that achievement. Words and music from characters in ensemble come together to present something that may or may not be more or less truthful than what it is they and we think they are saying individually. The difficulties of the three men’s relationship – they have been penned together for several months – is menacingly conveyed, though not without affection either. Parody is present, of course, most evidently in the reimagination of the ballads – a street variety from Blazes and Sandy’s sickly drawing-room version – and hymns. Arthur is the sort of pig-headed Protestant fundamentalist who has always drawn Davies’s ire, but there is an element again of affection, such as memories so often bring in spite of themselves, as well as anger in Davies’s presentation and subversion of the hymn tunes. The rhythm of the closing automation – ‘The lighthouse is now automatic,’ we hear at the end of the Prologue – sounded as stubbornly memorable as ever in this performance from the Southbank Sinfonia and Jonathan Santagada. 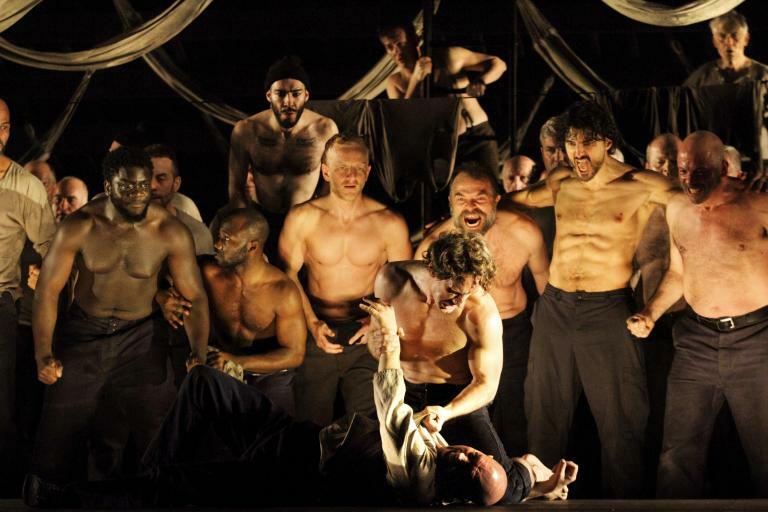 Within that staging – that imprisonment, we might say – our singers brought the drama to life. Samuel Sakker’s lyric tenor covered an array of musico-psychological states as Sandy. He even pulled off the difficult trick of questionable singing – in the ballad – as character portrayal, rather than from inability to sing it ‘right’. Yuriy Yurchuk’s diction was on occasion a little occluded, yet for the most part his was a powerful performance as Blazes, again encompassing a good deal of musical and dramatic virtuosity (to use a concept the composer has suggested is necessary, and surely is). David Shipley’s Arthur was possessed of as well as by frightening fanaticism, all founded upon a splendidly deep bass voice. Interaction between all three soloists was convincing throughout. I look forward to hearing them again.